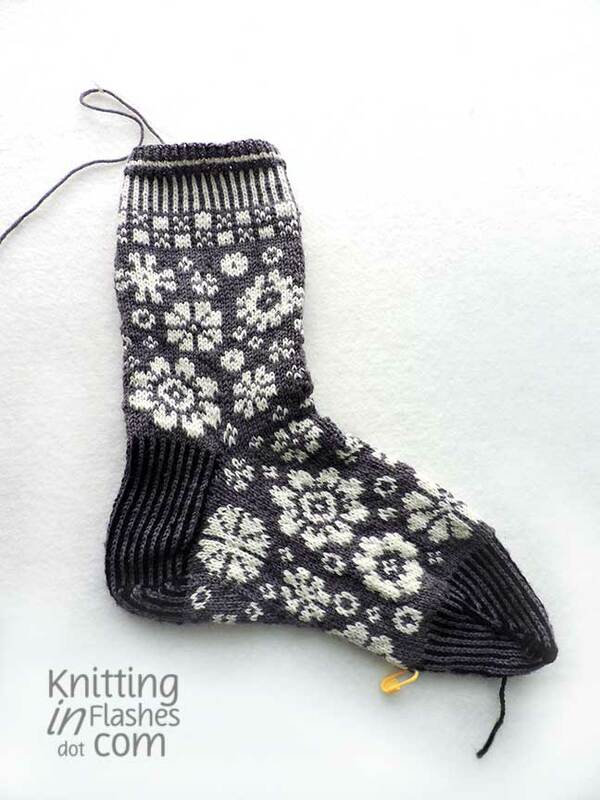 Between the bitterly cold temperatures, thawing frozen water pipes, a trip to the emergency room*, and shoveling eight inches of snow, I’ve got one Bloomin’ sock done, one Bloomin’ sock to go. I like it but not in love with it. The heel flap is chunky and not caressing the back of my foot as much as I like probably because it’s striped and not ribbed. 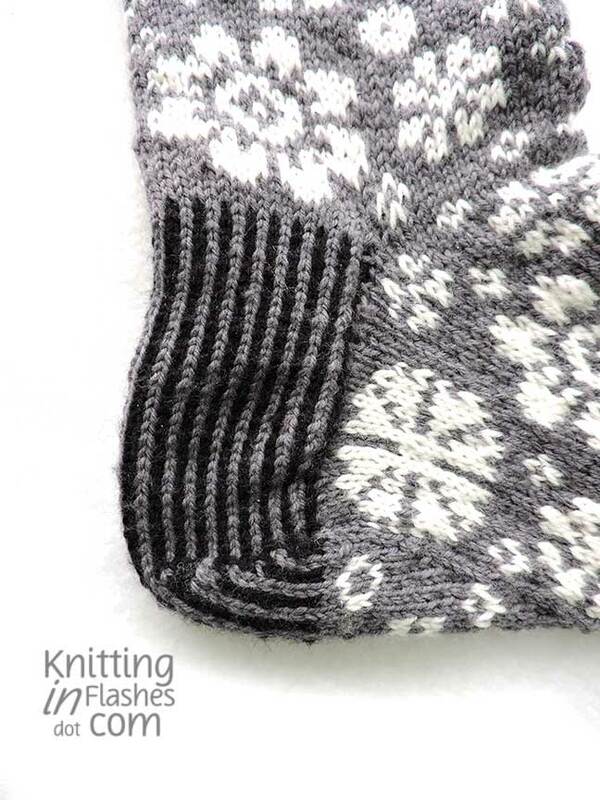 The gusset is so cool though as the pattern goes around the bottom. 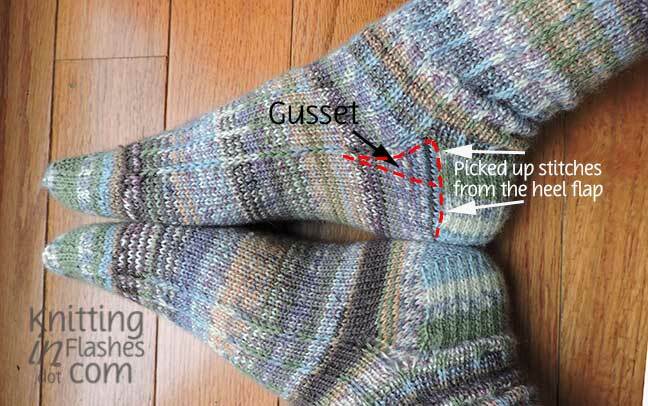 This type of gusset is new to me. 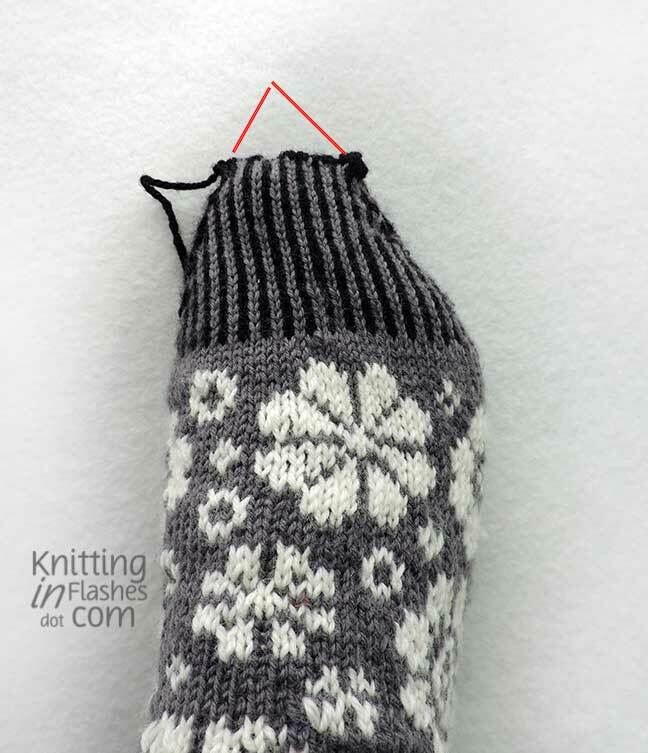 Usually, the gusset is on the side of the heel flap as shown here. You can see where I picked up the stitches from the heel flap to continue with the foot. It makes a triangle on the side. 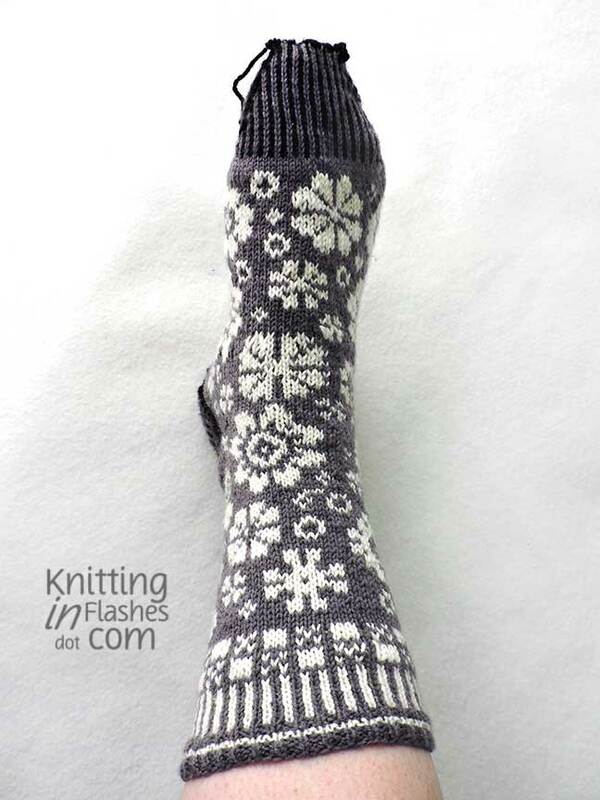 The gusset on these Bloomin’ socks is on the bottom so the pattern flows all around. 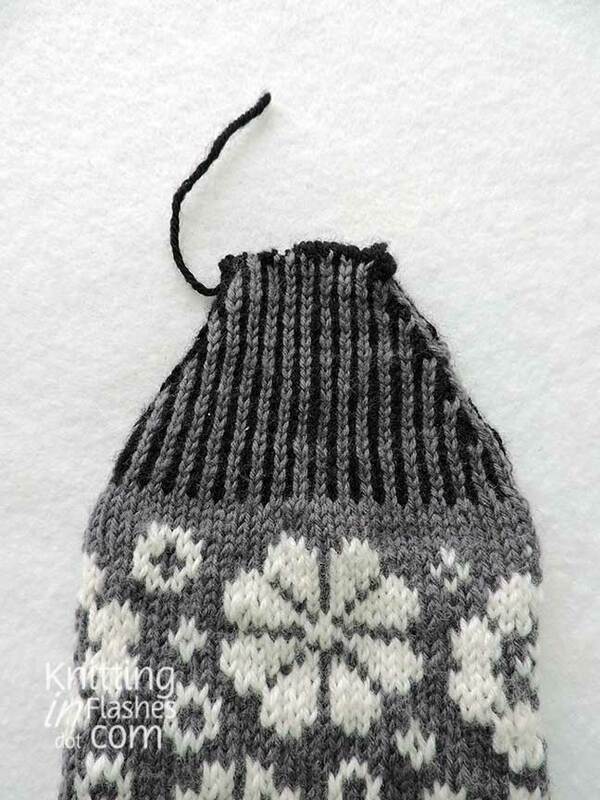 You can also see where I switched from the double-point needles to the circulars. The decrease stitches are less pronounced once I could knit smoothly over them. When on my foot, the heel flap looks bulky and it seems too high on the back of my foot. I adjusted the toe shaping as my toes don’t come to a point as the sock does. I knit six rounds of the stripe before beginning the decreases so I could end the sock sooner and still have enough room for my toes to wiggle. I finished with the Kitchener stitch. It looks loose and mangled in the photos. 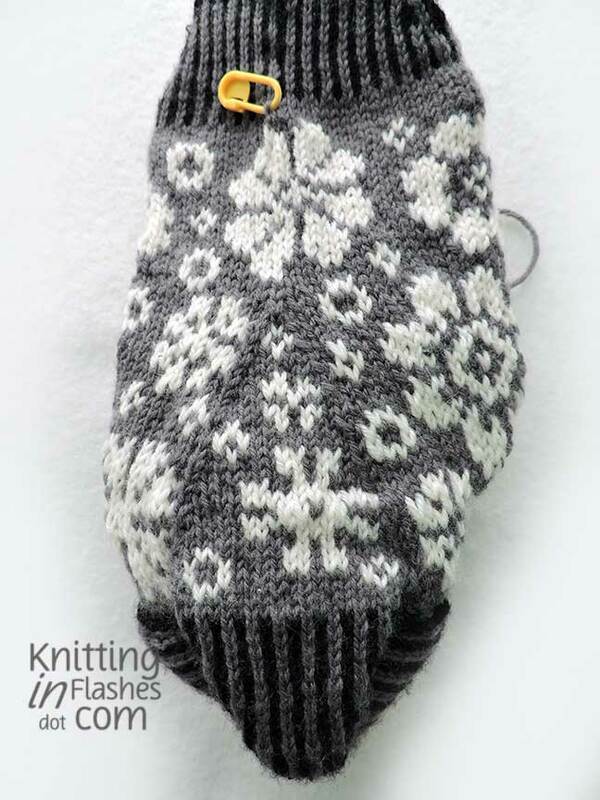 I wanted to see how I liked the sock before I tightened up everything and made a neatly finished toe. It’s a very thick, two-layer sock and I won’t be able to wear it with any of the shoes or boots that I own (thanks to unwanted water retention), however, I do like it enough to make the second one. *Mr. Aitch, not me. I finally convinced him after a week of discomfort to get the pain in his side and back checked out. He’s dealing with a kidney stone. Though not stone free yet, he is feeling somewhat better.